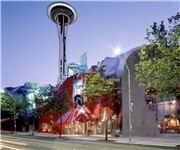 Premier destinations for arts, entertainment and leisure activities in Seattle. Includes the Seattle Space Needle. How Would You Rate Seattle Center?